The USCG Ingham Memorial Museum is situated in the harbor at the Truman Annex in Key West Florida. Resting in Key West harbor, this cutter now serves her nation as an important, historical landmark. As a maritime museum, she also pays tribute to the United States Coast Guard and to the many fallen warriors of World War II and the Vietnam conflict. Built as part of the Secretary Class, this 327 USCG cutter was a work horse that saw active roles in a multitude of non-military duties including weather observation. This USCG cutter was also heavily involved in a number of military campaigns that spanned several wars. During World War II, one of her duties was to protect the convoys plying the dangerous Atlantic waters. During this period she was involved in a number of skirmishes that involved German U-boat attacks on vessels traveling back and forth from Europe. During the Vietnam War not only did she provide important gunfire support, she provided medical aid. It was her participation in Operation Sea Lords and Operation Swift Raiders that earned this USCG cutter the unprecedented awarding of two Presidential Unit Citations for extraordinary heroism against the enemy. In 1980, she was also involved with her sister ship, the USCG Duane, in the infamous Mariel boatlift operation. However, as she aged and became obsolete, the nature of her duties changed. She became more involved in the protection of the nation's fisheries, and in waging the war against drugs. In 1985 when the Queen of the Fleet, the USCG Duane was decommissioned, the Ingham was left as the oldest serving USCG 327 in history. Just as the Duane had been honored before her, the Ingham received the honorary distinction of having her hull letters repainted in gold. Only a few short years later, on May 12, 1988 she herself was decommissioned. Originally gifted as a museum ship to the Patriots Point Maritime Museum of Charleston, in 2009 she was transferred to the Truman Annex in Key West. Just shy of 52 years of service, this Key West museum gives us an understanding of her many historic accomplishments. We are given a sense of the brave individuals who served and fought aboard her, and insight into the campaigns she waged that spanned the globe and the decades. The opportunity to learn more about her is in stark contrast to that presented by two of her sister ships, the scuttled USCG Bibb and USCG Duane. Both these proud vessels lie off Key Largo FL near Molasses Reef where visits to them are reserved for those who have advanced scuba diving certification. One of the more interesting Key West museums, she also serves as a US maritime memorial to those killed in action during World War II and the Vietnam conflict. 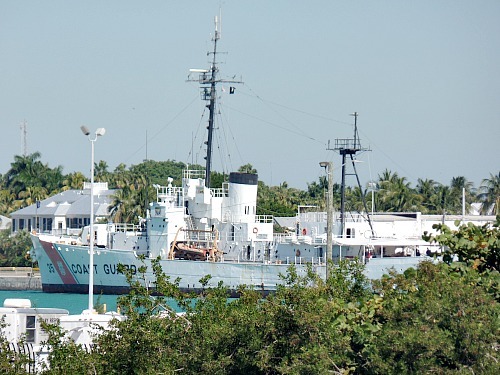 This Key West maritime museum is a 501(c)(3) Foundation and donations and proceeds go to the critical ongoing maintenance and restoration of this USCG cutter. The USCGC Ingham Memorial Museum hours of operation are Monday - Saturday from 10 am to 4 pm. This is a self guided tour, and you will want to allow a minimum of 30 minutes to explore the ship. You'll also want to pay a visit to the gift shop which has a number of items including monogrammed t-shirts, hats, coffee mugs and medallion type coins. If you're arriving by car, there is ample parking at the Truman Annex. This Key West museum is also easily accessible by foot. 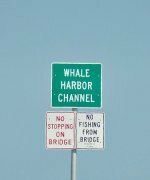 Access is via Southard Street for those who are visiting Duval St or the Bahama Village area of Key West.